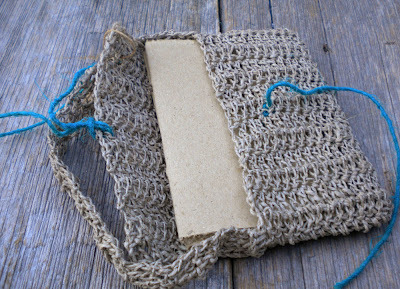 Made by Simona, known on Etsy as Antico Valore, our next swap book comes inside a special purse! 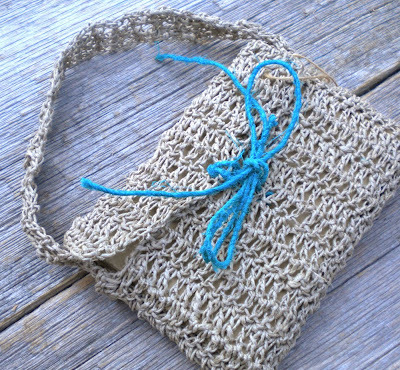 Simona crocheted the purse using organic natural hemp thread and then added some organic colored hemp for the closure. Fitting perfectly inside is a notebook made entirely with recycled brown paper. Visit AnticoValore.etsy.com to see more of Simona's work. I got this book in the mail a few days ago and paraded it around for all of my Christmas guests to admire. Thank you!